The new Impulse® 12D powered enclosure features a true ribbon driver and a 12″ field-replaceable dual voice coil premium neodymium speaker. A Woofer Servo circuit monitors back-EMF and controls cone motion, ensuring the cone’s movement mirrors the driving signal from the power amp, and resulting in very low distortion, high power handling and rock-solid low-frequency attack. 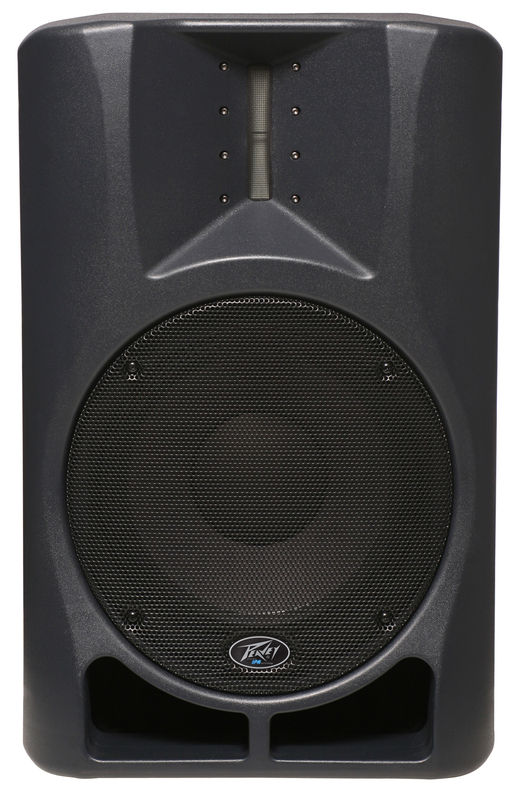 The advanced new ribbon driver–an exclusive Peavey design based on the ribbons used in the Peavey Versarray™ line array provides 90° H x 30° V coverage, with sonically transparent reproduction. 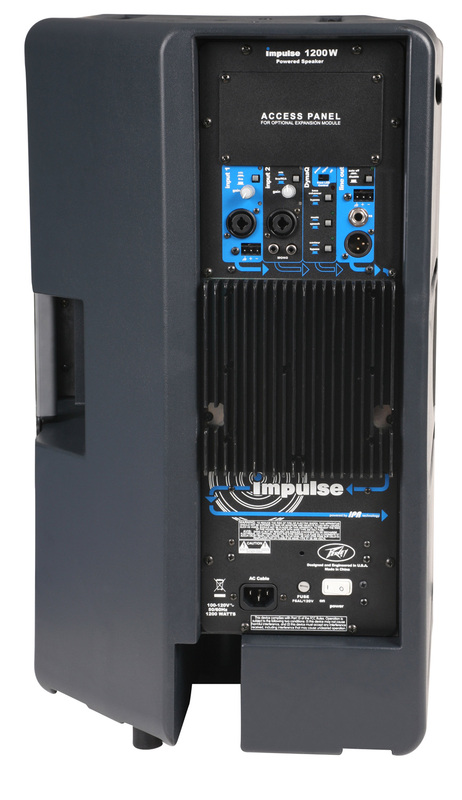 Utilizing Peavey’s revolutionary IPR™ power amplifier technology, the Impulse 12D produces 1,200 watts of efficient power while weighing a very lightweight 39 lbs. IPR amplifiers are designed with a lightweight switch-mode power supply and a high-speed class D topology that yields the highest audio resolution and efficiency available. The Input section features two input channels and a line output, with a mix of I/O options such as combination XLR-1/4″ jacks, RCA and install-ready Phoenix connections. Input channels 1 and 2 also have mic/line source switches and gain controls. The Auto-Off function automatically shuts off the power when it no longer detects a signal, while the Line Out allows the user to chain multiple units or send the input signal to another source. The DynaQ™ section offers advanced tone controls such as Bass Enhancer, which is an overall loudness boost; a Music/Speech switch that provides optimized EQ settings for each audio type; and Contour, specially configured for program music. A module bay allows for future expansion including Wireless I/O, Delay/Time Adjustment, Mixer Expander, Ethernet I/O and more. The Impulse 12D is housed in a durable, injection-molded enclosure that includes a pole mount, three flying points and a tilt-back design to facilitate use as a personal monitor.